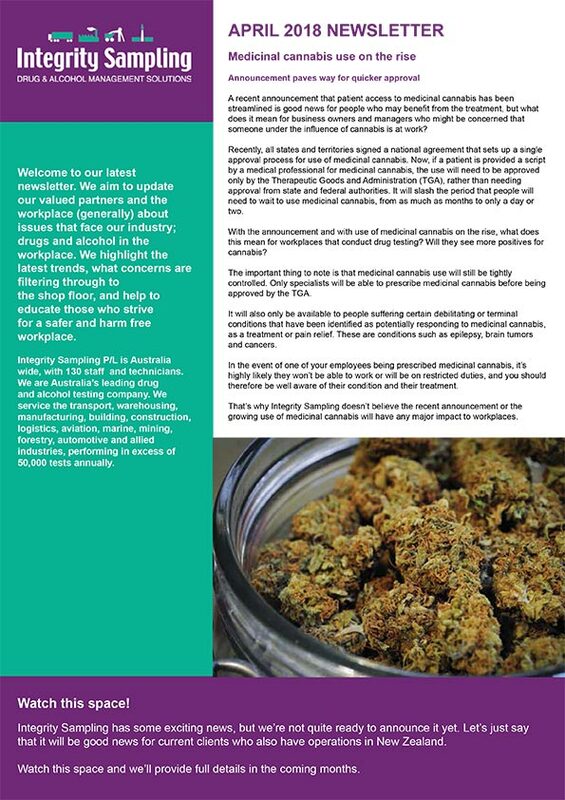 Integrity Sampling regularly updates our valued partners and employers in general about drug and alcohol issues in the workplace through our newsletter. We highlight the latest trends, what concerns are filtering through to the shop floor and help to educate those who strive for a safer and harm free workplace. It’s part of our efforts, as Australia’s leading drug and alcohol testing company, to answer questions about drugs and alcohol in the workplace and to ensure the broader working community is better informed.